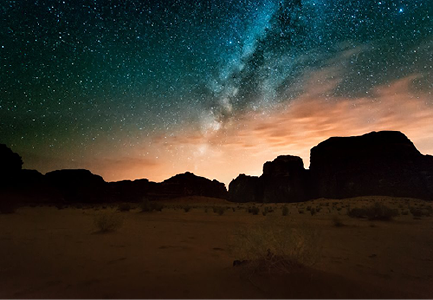 Explore the majestic desert of Wadi Rum in depth. Meet & assist at Queen Alia Airport by our representative and transfer to Petra. After breakfast, marvel at the beauty of the ‘Lost City’, the Red Rose City of Petra, exploring its many caves and tombs. 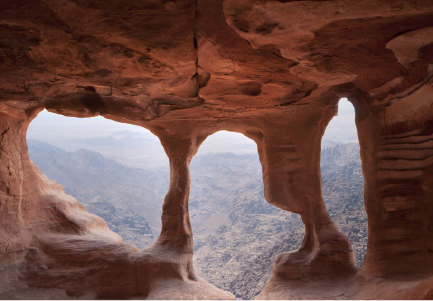 Walk through the canyon and be astounded at the magnificent Treasury, the entrance guarding the ancient Nabatean city, now one of the Modern 7 Wonders of the World. From the main site in Petra we head out of the touristy parts of the city to the south through the sandstone hills. 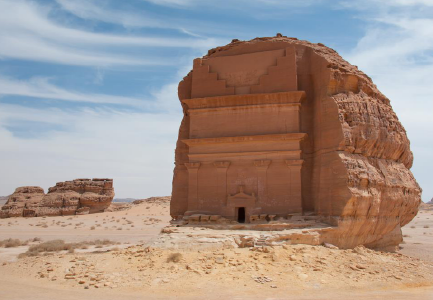 All around are traces of the Nabataeans with rock carvings and steps. Bedouins still live in the area. We reach the snake monument from where the fit and adventurous can take a side excursion to climb Jabal Harun. The trail leaves the Jebel Harun trail, heading south out of the valley before descending into the upper reaches of Wadi Sabra with a wild mountain landscape ahead though which the trail finds its way for the next five days. Once in Sabra, the remains of a Roman theatre are passed near a spring with palms. The way then follows the valley easily down, alongside what is usually a small stream which eventually plunges into a box canyon above Wadi Al-Tibn. The canyon is bypassed by a shepherds’ path on its right that winds steeply down into the lower valley of Sabra. This is then followed for a further 5km before leaving it over low hills to camp on either side of, but not far from, the Rajif to Gharandal road. After previous day’s descent through the wild mountains overlooking more rugged and remote hills in the distance, the route now threads its way through them. From West of the road, descend West following Wadi Abu O’roug, which cuts its way impressively through Jabal Mriebed, sometimes in a narrow canyon necessitating a crawl to pass under boulders. After about 11 km you arrive at a junction with Wadi Huwwar and follow it up South to reach Wadi Al-Seif and camp in the middle of it. Another splendid day on the trail following the increasingly awesome canyons of Wadi Aheimir, first heading South South East with its surrounding cliffs rapidly closing in to reach a fork in the wadi after about 4.5 km Ignoring the obvious continuation to the South, head almost East through about 16 km of canyons. (Beware of flash floods and be prepared to cross pools and scramble up boulders.) The last 7 km of these canyons have numerous side canyons so it’s essential to take care of route finding in this impressive place which often has 200m walls on either side and is sometimes only a couple of meters wide. Finally, not long after passing a recent rock fall a path rises up to the East to escape from the clutches of the canyon onto a barren plateau not far from a small village called Abbasiya. 4.3 km South West are the ruins of Humaima, with it’s sophisticated water supply system. The route goes across fairly flat terrain in the direction of the mountains of Wadi Rum. We head towards modern Humiema which is now on the Desert Highway; with a chance to buy water and supplies. We cross the highway and start heading across the sands with increasingly large sandstone outcrops dotting the landscape. 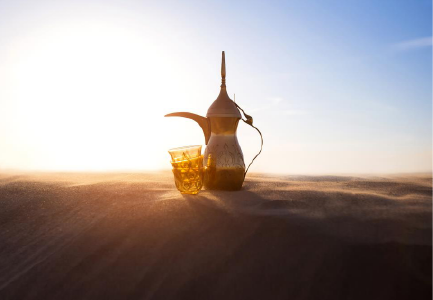 After breakfast, transfer to your last destination in Jordan, or you we can customize any tour you like. 1 night accommodation includes dinner and breakfast sharing twin or triple standard room. (Single supplement applies if you want a single room). 8 Nights camping in wilderness. 8 lunches and lunch boxes. A donkey will accompany the group to support any one who needs some rest. Local Bedouin guiding the route from Petra to Wadi Rum. Government Licensed malty speaking tour guide from day 1 till day 10. Mattress and blankets provided for the 4 nights in wilderness. (If you don’t have a sleeping bag, we can provide blankets, but suggest you bring a sleeping bag liner or sheets to sleep on).